PCIe Card Length Full-height, Max length 8.2"
Thank you for sharing this deal @nando4. This enclosure would be very nice to run as an open chassis. I guess you could just put in a single slot 75W card like the Inno3D 1050 Ti or the Quadro P2000 for that matter. Alas, the Inno3DB is 8.3" long but I wonder whether those fans could be swapped for something thinner and quieter. Would anyone know how thick are the ones in there? Noctua has a nice 10mm one after all. Or would it be fine to just drop them completely if you run the chassis open anyways. RTX 2070 FE is 9" long by 4.5" tall. It seems like a perfect candidate for this open chassis (≈ 9.6" x 5.5" interior space). @esatamacmodular I have one arriving this week. Will check wether it uses TI83 USB-C controllers. We have TI82 patch for macOS in case it uses the older controller. 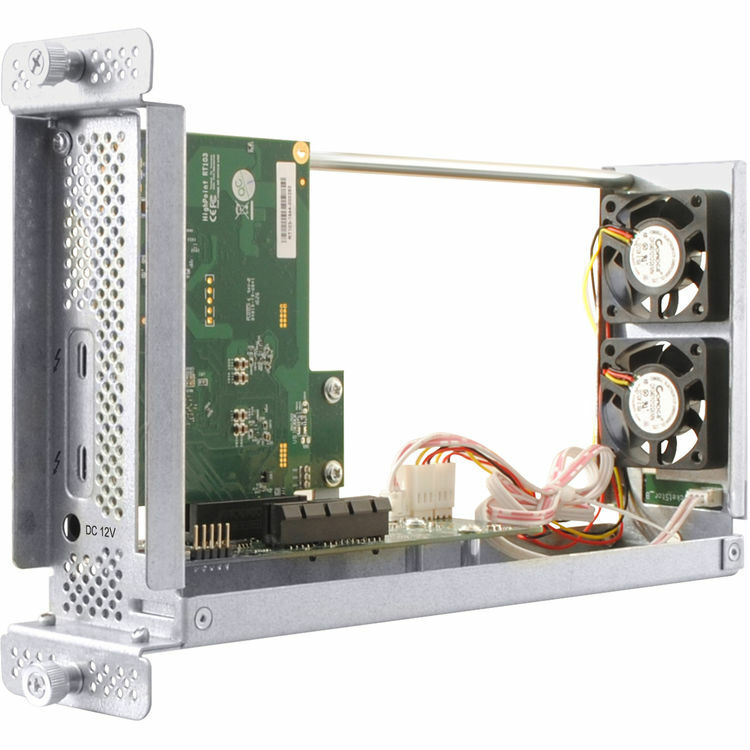 One more thing you can do with this: even with a x2 TB3 laptop you could squeeze out an almost 20gbps home network -- the cheapest dual 10gbase-t cards on eBay are 50 USD and this chassis, unlike the Sonnet Solo, actually daisychains for not much more... I could see this playing well with my Graphics Dock, very heavy network for work , Graphics Dock for games... does anyone know whether daisychaining introduces any performance penalty 🙂 ? Finally I can upgrade my original eGPU! Had to check my old build posted over at TI from a few years back to see if the extra height of the TB3 card was going to be an issue. Its not - heaps of room in the case. Best case (lazy and assumes that the mother board of the 6661A and the old 6361A are the same), swap out the TB1 card for the TB3 card. Worst, pull out the graphics card so I can get at the motherboard as well. I received the HighPoint RocketStor 6661A last night. I looked over the Thunderbolt 3 mainboard and saw two TI83 USB-C controllers and DSL6540 Thunderbolt 3 controller. It's fully compatible with macOS. The power input is different on this version vs the older ones. There are no molex power plugs on this main board. The only power input is the barrel plug in the rear similar to AKiTiO Node Lite board. I was hoping the inside space has enough clearance to fit the 9" long RTX 2070. Unfortunately it was short by just a hair. I removed the two tiny 40mm fans and bent the front mount forward to fit the RTX 2070. The PCIe slot is a physical x4 but open-end so the x16 GPU fit. It's not very stable if you have a large and heavy card. The inner cage of this TB3 enclosure is all aluminum so it's very light and easy to manipulate. Any pics? Zotac do a mini 2070 now, I wonder if that would fit? I was testing the RX 580 Gaming Box with 2018 13" MBP last night so didn't have time for unboxing photos. I accidentally took a photo with the RTX 2070 + RocketStor 6661A frame in this photo. You can see it's very similar to the Gaming Box in size. That’s super close to fitting! The Zotac card would prob fit. 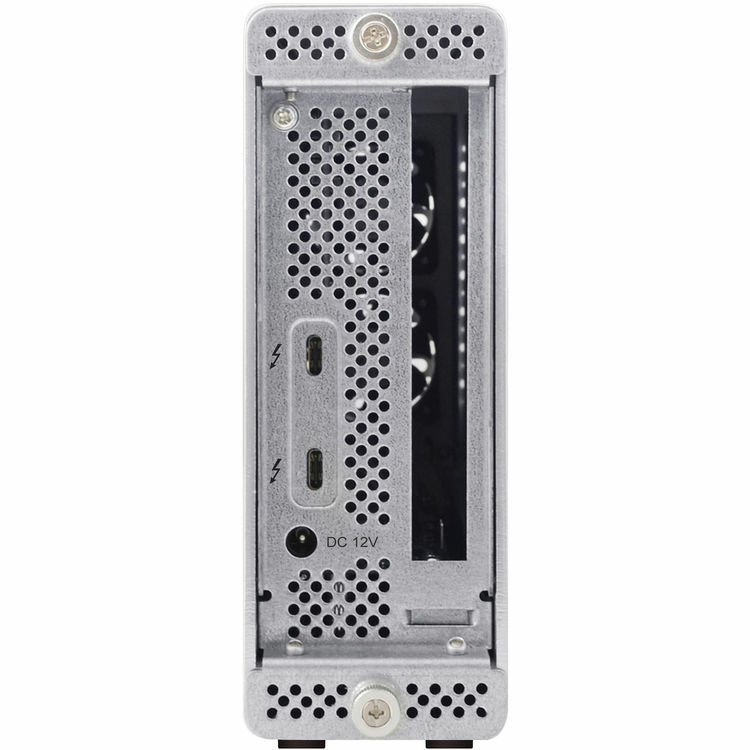 how do the specs on this compare to the akitio node lite (which also seems you could daisy chain as it has 2 x TB3 ports)? As they are similar in price I'd imagine someone looking at this would want to consider the node lite too. @esatamacmodular They're very comparable. 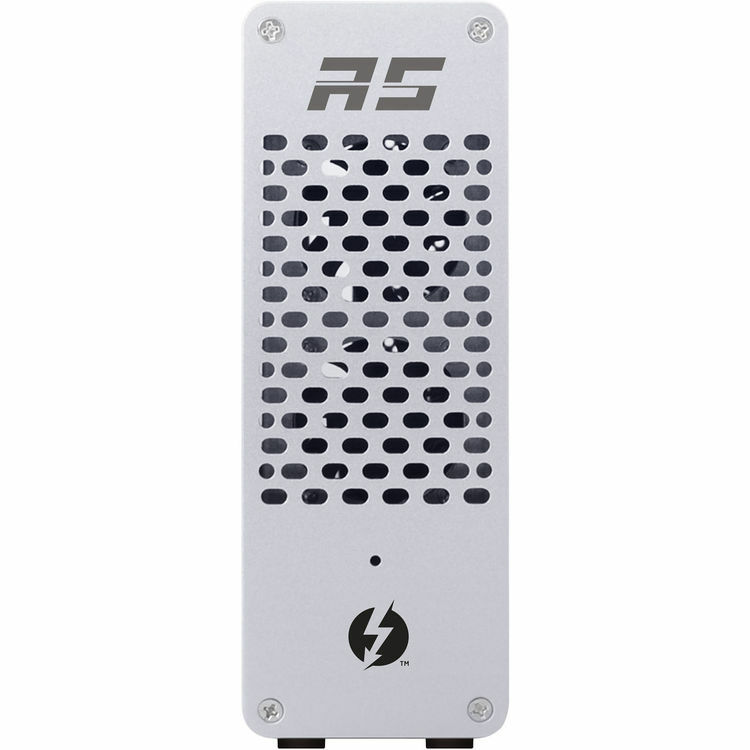 AKiTiO Node Lite is chubbier and sturdier when used without outer enclosure. The two slot mount gives it more stability too. 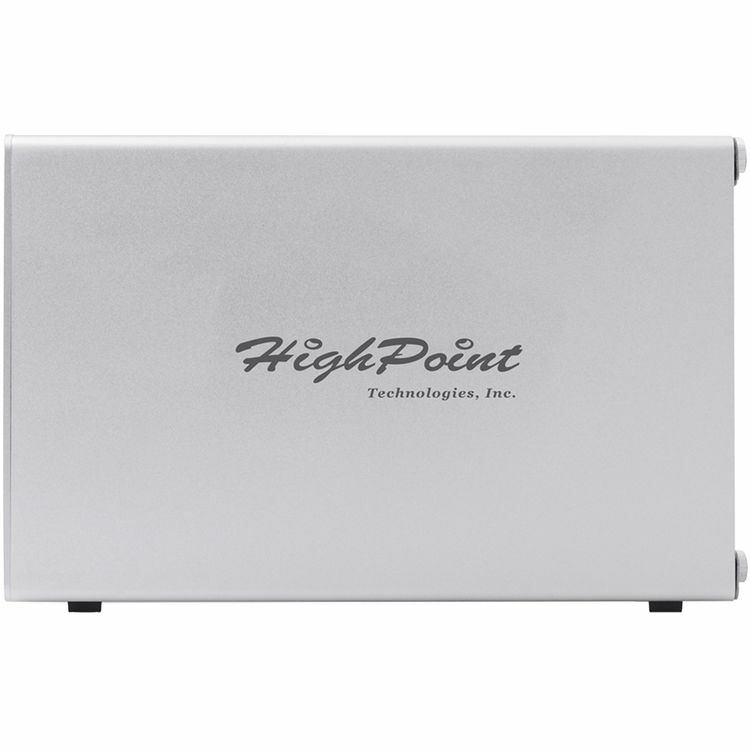 Highpoint RocketStor 6661A is longer but too narrow to fit anything but single slot cards. There are no molex power plugs on this main board. 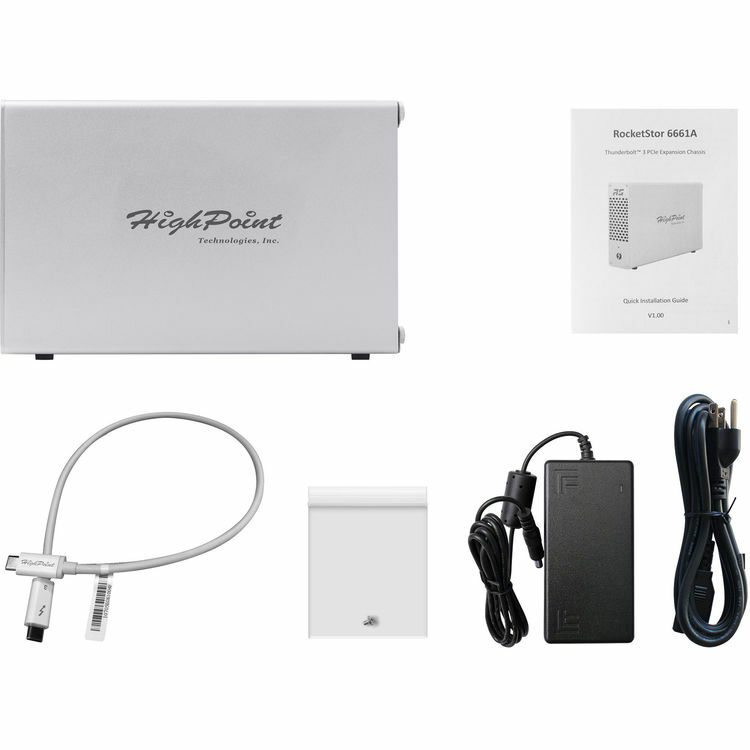 The only power input is the barrel plug in the rear similar to AKiTiO Node Lite board. hold up hold up . Is that a right angle TB3 cable???? @jelev It's actually an USB-C angled adapter. They're reasonable priced and work great with Thunderbolt 3 cable. 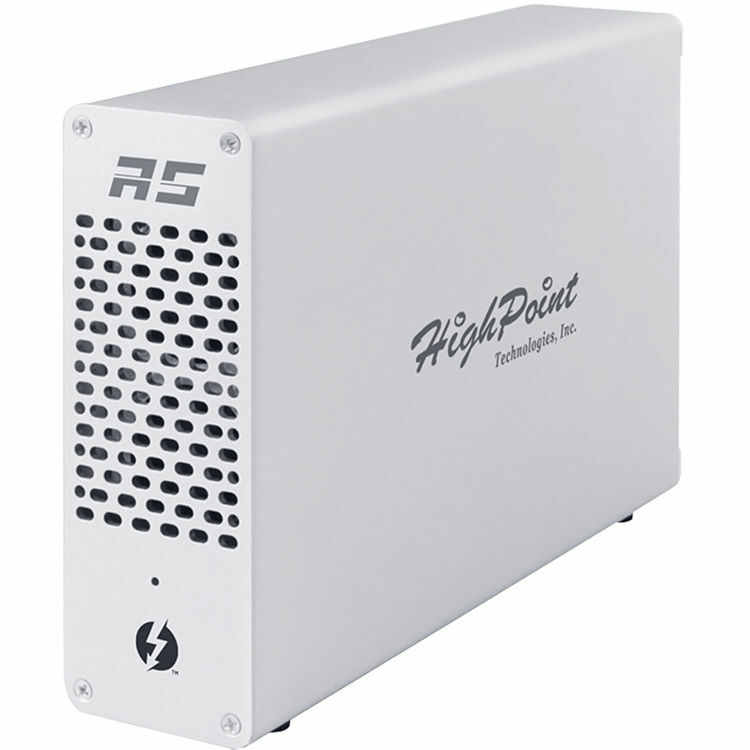 Confirmed to provide full Thunderbolt 3 bandwidth. 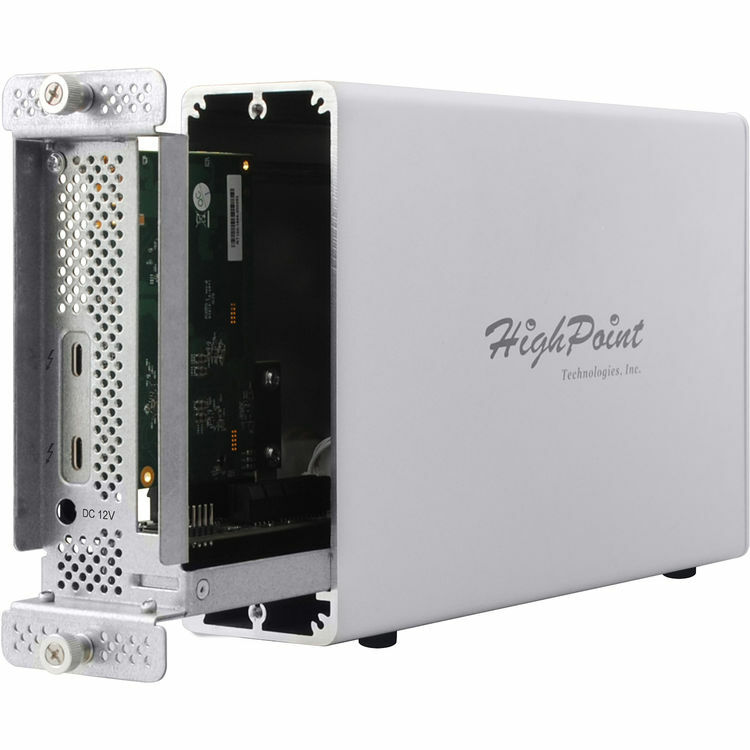 Will this enclosure support more power (greater than the listed 25W) through the PCI-E slot if you replace the 60W external brick with a larger one?